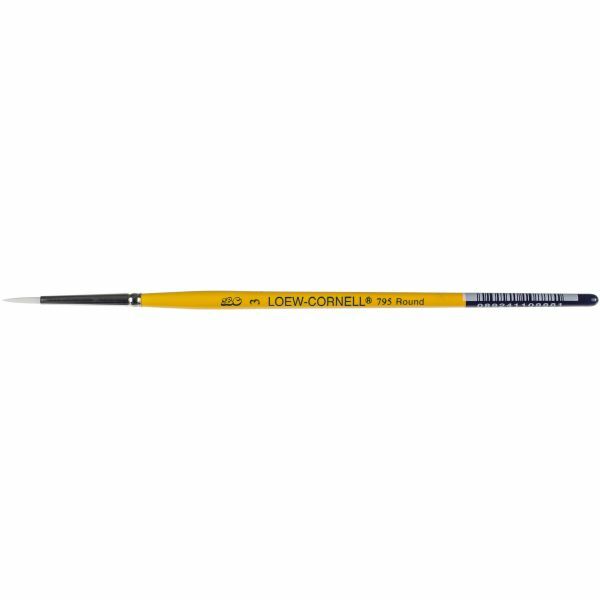 Series 795 White Nylon Brush - Ideal for outlining, detailing, line work and tear drops. Sturdy and durable brush features white nylon bristles, nickel-plated ferrules and short, lacquered handle. Package contains one Series 795 Nylon Brush size 3. Imported.